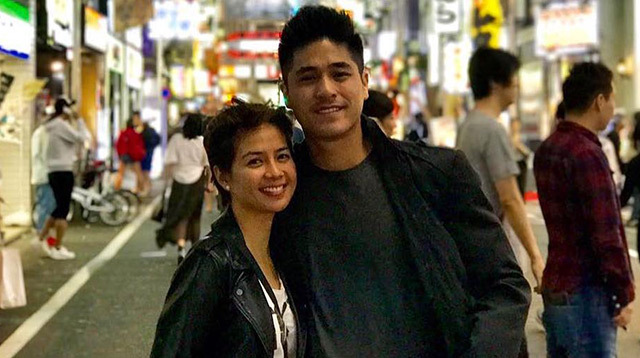 Kaye Abad And Paul Jake Castillo Are Having A Boy! Headlines, hot news, and conversation starters on October 9, 2017! 1 On October 8, 2017, Kaye Abad and Paul Jake Castillo hosted a gender reveal party at Grillers Steak House in Cebu. They're having a baby boy! Kaye told PEP, "I'm really happy kasi I really wanted a boy first. [Paul Jake wanted a girl first] kasi feeling niya mas responsible kapag girl." When asked how many children they plan to have, Kaye said she wanted two, but Paul Jake wanted three: "Parang walang referee kapag dalawa lang, so good luck. One down, two to go." 2 Aga Muhlach recently revealed that he's turned down offers because of his weight. During a media conference for his new movie, Seven Sundays, Aga opened up, "I strugged for how many years losing weight dahil nagpahinga talaga ako. Every year na may nag-o-offer sa'kin ng love story, parang hindi ko kaya. Hindi ko kaya na lumabas na leading man na ganitong hitsura ko, dahil hindi ko gagawin 'yun." 4 James Reid and Sarah Geronimo slay the ASAP stage again with a cover of Louis Tomlinson and Bebe Rexha's "Back To You."